Over 52 Years of Combined Experience! Come In Today. Leave Happy! 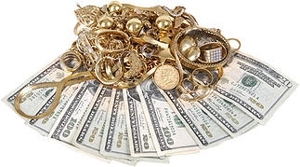 We loan, buy and sell gold, silver, platinum, diamonds, watches, electronics, antiques, and much more! We offer 30, 60 and 90 day renewable loans with highly competitive rates. We are the best short-term cash solution for you. We are fully licensed and have been serving the Denver area for over 52 years! Copyright © 2018 casinopawnshops.com All rights reserved.